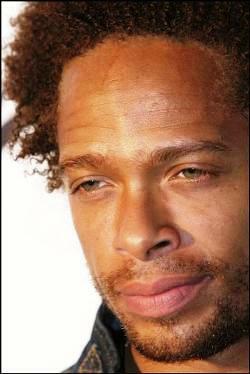 Following on from recent news that CSI’s Gary Dourdan is to quit the CBS drama, he has been arrested for possession of narcotics and dangerous drugs. The 41-year-old actor was found asleep in his car by the Palm Springs Police Department on Monday. An officer saw Dourdan’s car parked on the wrong side of the street with the interior light on and someone sleeping in the driver’s seat at approximately 5:12 a.m. Monday, according to police. An officer described Dourdan as disoriented and possibly under the influence of alcohol or drugs. The officer arrested Dourdan after locating suspected cocaine, heroin, Ecstacy, miscellaneous prescription drugs and paraphernalia. Dourdan was released on $5,000 bail at 10:30 a.m. Monday. A court date was not immediately scheduled. Dourdan has played crime scene investigator Warrick Brown on CBS’ CSI since 2000. Several celebrities were in town for the Coachella Valley Music and Arts Festival in nearby Indio, Calif. It was not immediately clear whether Dourdan attended the event. True… it was directed by William Friedkin (The Exorcist) too….but I didn’t think he did that much with it. Very ironic as Sunday’s episode had to deal with Warrick taking upper and downer drugs. He then drank or drugged himself silly and picked up a prostitute who later was found dead in his car.